Over the last few weeks I’ve had a few folks tell me that they didn’t like their email software but kept it because they didn’t want to change the email address that they’ve had for years. So being the inquisitive type, I asked what software they were using. In every instance (and there were quite a few folks who jumped into the conversation) every single one of the folks who complained about their software were using “webmail” – the browser based website for their email service. The problem was even worse with people who had more than one email account. More often than not they were dealing with two different mail providers (like Gmail and Yahoo! or iCloud and Exchange or any other of hundreds of possibilities). And each of those services has a different web interface for email, so they had to learn how to navigate each of the systems and the differences between each of them. The next obvious question was “Why don’t you use an email program?”. I explained that there were quite a few free, easy to use, stand alone email programs (like Mail on MacOS or Thunderbird for Windows or MacOS) that would consolidate their email addresses into a single program and manage all their email in one program with one set of commands. Most folks are already doing that on their smartphones and tablets. 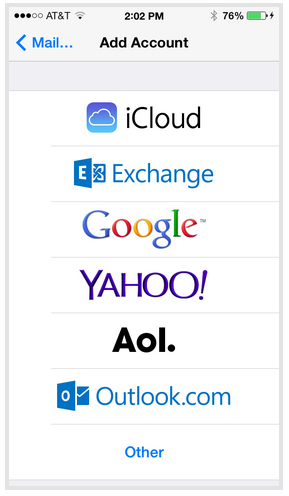 On iOS and Android you have a “standard” mail program that lets you enter the information for each of your accounts. 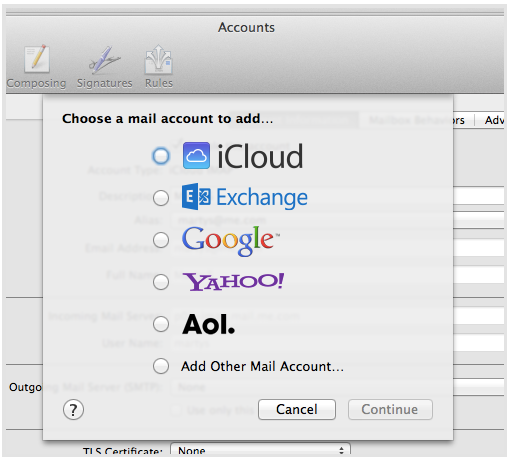 In fact, when you add an account from one of the major providers, all of the setting are pretty much there. Select the mail provider (Google is the same as Gmail) and follow the prompts to add your name, email address and password. Then the software will go out to the web and install all the server information that you shouldn’t have to worry about. If your email provider isn’t listed in your software, then you’ll have to add that information yourself. But most email providers will give you very specific instruction as to what the settings need to be in a program for it to work properly with their system. Just make sure you look for IMAP settings from your provider, especially if you use more than one device to check your mail. With IMAP everything will be kept in sync between your devices, so if you read and delete an email on your phone, it will also be deleted from your computer. Regardless of which one you choose, I think you’ll find getting out of the webmail world in into a stand alone email client will make dealing with your email much less frustrating!